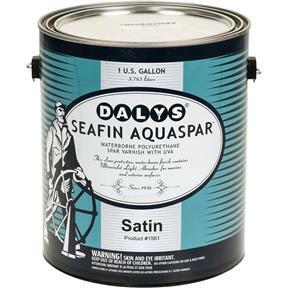 Waterborne polyurethane spar varnish, designed for marine applications. Offers excellent protection from sun, salt air, and water. 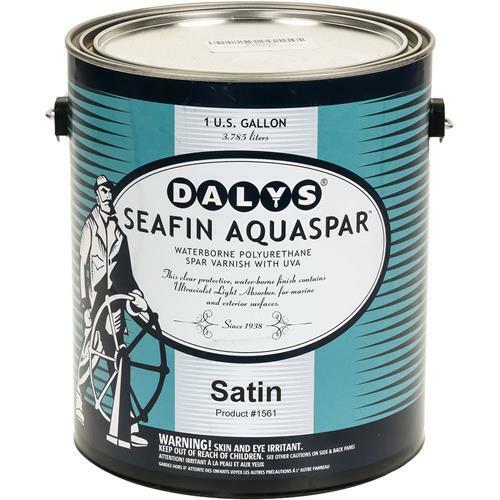 Ideal for most wood surfaces both interior and exterior, and can be applied over Daly's Wood Stain and Benite. Available in satin or gloss finish, whichever floats your boat! 1 gallon.